Android, iOS, Windows, Symbian and Blackberry are mostly used OS for smartphones. 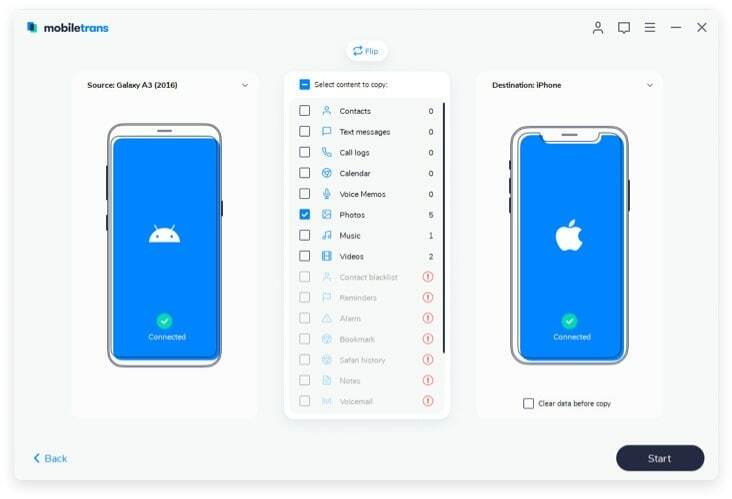 With these many options, you might often need to transfer data from one device to another device, especially from Android to iPhone, to share data between devices. The question is how to transfer data from one device to another device? 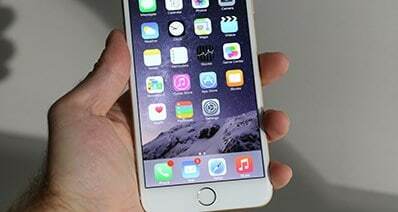 To transfer data from Android to iPhone, you need to get help from Android phone transfer. 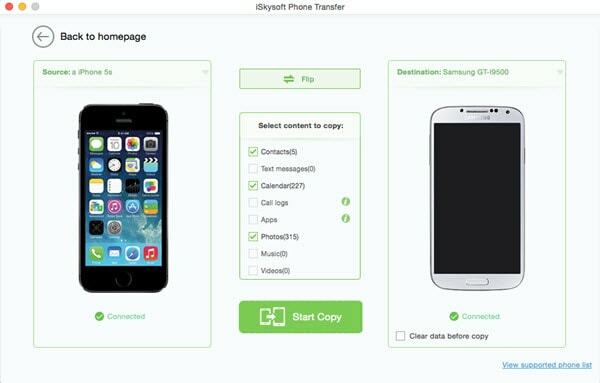 One superior Android phone transfer tool that I want to recommend to you is iSkysoft Phone Transfer for Mac ( or iSkysoft Phone Transfer for Windows), an extraordinary tool to transfer data between mobile phones running Android, iOS, Blackberry and Symbian OS. It supports a wide range of platforms, including latest launched phones, it gives some smart solutions to make our digital life much easier. This Android phone transfer is compatible with 3500+ phones. 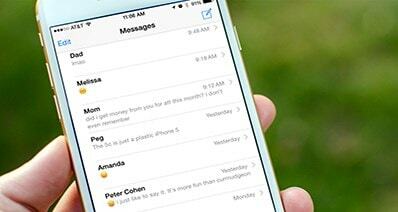 You can transfer any data including contacts, call logs, music, photos, messages, and more from phone to phone in 1 click. Download and install this Android phone transfer on your computer. 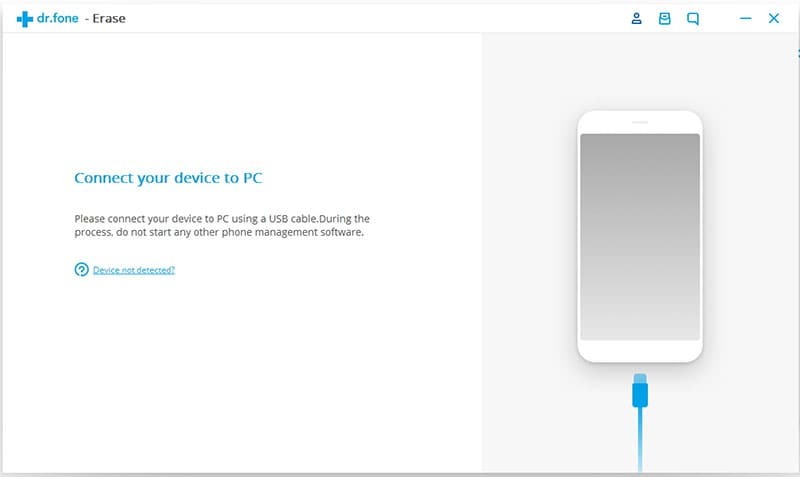 Launch the program and connect your devices to your computer with USB cables. Go to “Phone to Phone Transfer” and you will see both of the devices on the program interface with source device information. 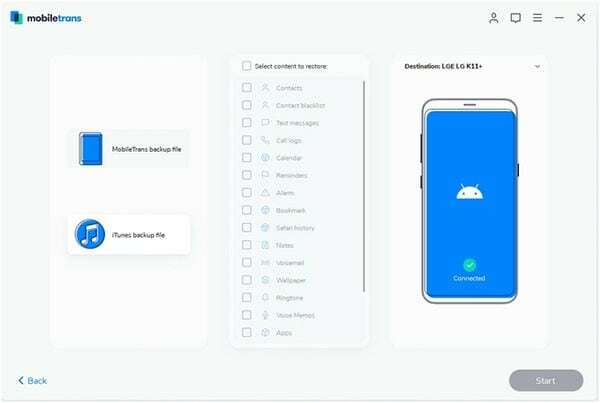 Select on the type of files such as Apps, Music, Photos or Videos and click on the “Start Copy” button and it will start Android transfer to new phone instantly. iSkysoft phone transfer is not just a phone to phone transfer software but also a backup tool that allows you to backup phone data to computer safely. It provides 1 click restore from backups. Support restore from several backup modes, including phone transfer backup, iTunes backup, iCloud backup, Samsung Kies and BlackBerry backup. Have this program in your computer and do multitasking stuff with ease. iPhone Won't Sync? Fix it!